Below, RambleFest displays East Devon guidebooks and maps, and provides the facility for buying them online. The coastal landscapes, stretching from Lyme Regis to Exmouth, show the lush, highly coloured scenery of classic ‘postcard’ Devon. Devon red sandstone meets the sea in a coastline of sheer high cliffs, steep wooded combes and coves, its line startlingly broken by the white chalk of Beer Head. Inland, the landscape rises to high, flat and surprisingly remote plateaux, often topped by heathland commons, particularly in the west. In the north it breaks into the hilly country fringing Honiton. The plateau is incised by the north-south flowing rivers Axe, Sid and Otter which wind to the sea through quiet, hedge-bordered meadows. 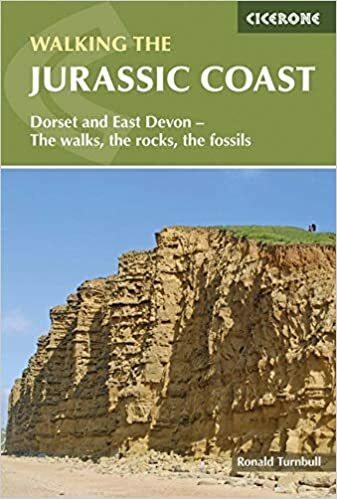 The estuaries, heaths and cliff top grasslands are important natural habitats and the ‘Undercliffs’, the spectacular 8 km landslip near Axmouth, are a National Nature Reserve of great geological and wildlife interest. The headlands and hilltops show many traces of prehistoric settlement. 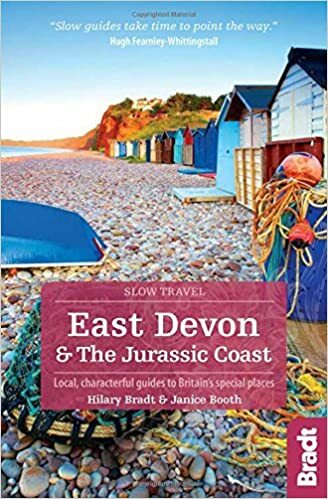 See also our Devon, Somerset and Dorset guidebooks. These are placed at the end of the display. The Ordnance Survey `Explorer’ maps are available in standard quality (shown) as well as the all-weather type.